Deacon Neil Crispo is a Roman Catholic ordained deacon who has worked as a case assessor for the Marriage Tribunal of the Diocese of Harrisburg, Pa for the last six years. He often meets petitioners for an annulment who reveal that they have had an abortion. Once they realize the cause of their divorce, he suggests they participate in the Rachel’s Vineyard retreat to begin healing from the effects of the abortion. Fr. William S. Daniels, O.P. has been an advocate for all human life issues since his seminary days in the late eighties and early nineties. Fr. 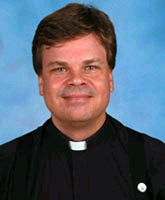 Daniels was assigned to St. Peter's Dominican Community in Memphis, Tennessee where he served as teacher and chaplain for six years at both St. Agnes Academy/St. Dominic School and St. Benedict at Auburndale Catholic High School. In 2009, he was granted permission to work as a full time priest associate with Priests for Life. Fr. Daniels has also served as a priest team member for Rachel's Vineyard--an experience, he says, that has changed his life. Jason Baier started working with post-abortion men in 2005, ten years after his own experience with abortion, by founding the organization Fatherhood Forever Foundation. His goals were to bring light to the fact that men are hurt by abortion through public awareness, to inspire other men to share their experiences and seek help, and to connect like-minded organizations and ministries to assist. He is a member of M.A.N. (the Men and Abortion Network) and a contributing author of “Redeeming a Father’s Heart” by Kevin Burke of Rachel’s Vineyard. 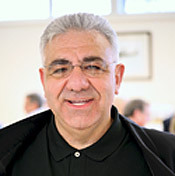 He attended his own Rachel’s Vineyard retreat in February 2006 and worked on teams for two other retreats since then. 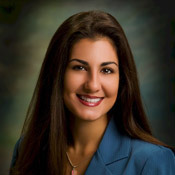 Katherina Nikzad-Terhune earned her Ph.D. in gerontology and her master's degree in social work from the University of Kentucky. She is currently a therapist at Beaumont Behavioral Health in Lexington, Kentucky, and serves as adjunct faculty within the College of Social Work at the University of Kentucky. Katherina has extensive clinical and research experience in the fields of mental health, aging, and caregiving. She has served numerous professional organizations, and is the recipient of several national awards and scholarships. She has published in various academic journals and books, and has given many conference presentations across the U.S.
Katherina attended an educational seminar given by Dr. Burke, and refers clients who are dealing with abortion related issues to Rachel’s Vineyard Ministries. 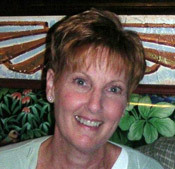 She lives in Lexington, Kentucky with her husband, Jon, and their five children. Kevin is a licensed social worker, Co-Founder of Rachel's Vineyard Ministries, a Pastoral Associate of Priests For Life and a lay member of the Missionaries of the Gospel of Life. 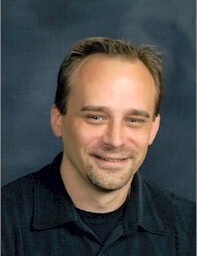 He is a graduate of The Bryn Mawr Graduate School of Social Work. Kevin's presentations address the effects of abortion on Men/Couples/Families, The Healing Team Model for Clergy, Servant Leadership in Post-Abortion Healing and Marriage and Family Issues. Kevin is the co-author of Redeeming A Father’s Heart-Men Share Powerful Stories of Abortion Loss and Recovery. Kevin and his wife are authors of Grief to Grace-A Retreat for Healing the Wounds of Sexual Abuse and Contemplating the Shroud: Meditations on the Passion and Resurrection of Jesus (Pauline Books and Media). 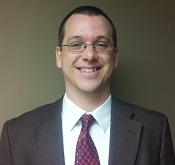 Kevin participates regularly in radio interviews, has been a guest on EWTN and Fr. Frank Pavone’s program “Gospel of Life” on the Sky Angel Network. 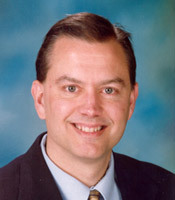 He has contributed to and authored articles on post-abortion healing. Kevin and his wife Theresa have worked together in marriage and family counseling and established Covenant Family Resources, a licensed children and youth agency that supports couples as they build families through adoption. They also spent 15 years working in youth ministry. Their development of high school retreats and youth programs earned them the "Apostle to Youth Award," which recognized their contribution to the spiritual growth of teenagers in Philadelphia. Lee Anne Martinez has a BA in Special Education/Elementary Education. She is a wife and mother. She is a post-abortive woman who has been co-facilitator of Rachel’s Vineyard retreats for the last three years in western Washington. Robert Cassman, MA is a professional counselor with experience in private practice, substance abuse treatment facilities, youth development centers, and as a college instructor. He is in private practice in central Kentucky. Susan Swander is a post-abortive woman who has been sober for twenty-two years. 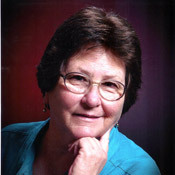 She has attended two retreats for her own healing and has been on the Oregon retreat team for several years. She presented on "Alcoholism in the Vineyard" at the Rachel's Vineyard Leadership Conference in 2005. Theresa is the founder of Rachel's Vineyard Ministries and the author of The Rachel's Vineyard Weekend Retreat Manuals for both Catholic and Interdenominational settings. She is also the author of the 15 week support group model Rachel's Vineyard - A Psychological and Spiritual Journey of Post Abortion Healing with Barbara Cullen. (Alba House) The Rachel's Vineyard TM support group and retreat models are now offered in 47 states. The International outreach of Rachel's Vineyard is now growing in Australia, New Zealand, Canada, Africa, South America, Ireland, England, France, Portugal, Scotland, Spain, Taiwan and Russia with new translations in progress for Korea, Japan and China. Theresa has facilitated the Rachel's Vineyard weekend for women and men throughout the country, training retreat teams in the method and process. 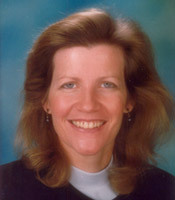 She has lectured and trained professionals internationally on the subject of post abortion trauma and healing. 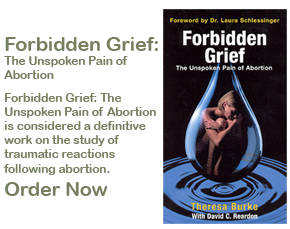 Her books include Forbidden Grief - The Unspoken Pain of Abortion with David C. Reardon (Acorn Books) and The Contraception of Grief - The Genesis of Anguish Conceived by Abortifacients and Sterilization. Theresa has also published a new retreat specifically designed for those who have suffered sexual abuse entitled: From Grief to Grace - Reclaiming the Gift of Sexuality. This new retreat model will soon be available throughout the United States and internationally to offer healing to victims of abuse, including those who have survived sexual abuse from clergy. Theresa serves as a Pastoral Associate of Priests for Life and for the newly formed Apostolic Society - Missionaries of the Gospel of Life. She is a frequent guest on EWTN and served as host of the television series Making Abortion Rare. She has recently appeared on PBS, the Religion and Ethics News Weekly, Focus on the Family, Sky Angel's Gospel of Life and has been interviewed for numerous radio, television, print magazine and news stories.